Run your finger down the FLIPPER® to the topic you want to refer to. Then "Flip-up" to reveal the information needed. 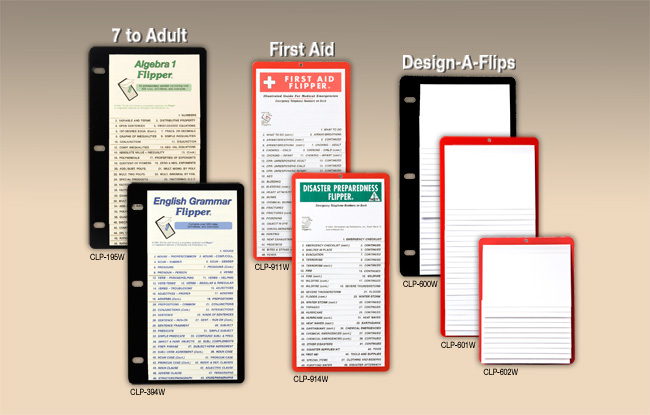 These handy flip-up guides are available with heavy coated cards or plastic pockets with removable cards. Both versions provide rugged durability. Each are loaded with the information you need... at your fingertips! please reply using the contact information provided below.